Dubai Hills Estate, one of the largest master-planned communities in the city being jointly set up by Emaar and Emirati developer Meraas, has partnered with Dubai Multi Commodities Centre for its new Executive Residences. As per the deal, Dubai Hills Estate is offering customers of its new Executive Residences the opportunity to obtain a complimentary 3-year renewable business licence and renewable residency visa, when they pay only 20 per cent of the apartment price, through its partnership with DMCC. Taking the home-office concept to the next level, this unique opportunity allows entrepreneurs and ‘remote workers’ to obtain a business licence from DMCC, the world’s leading free zone, and operate their business from the comfort of their own home at Executive Residences. With the rise of freelancers, flexible working schedules, as well as the growing importance of the start-up ecosystem in the UAE, this ownership scheme has now become more sought after than ever. Investors will enjoy all the benefits of DMCC, such as zero per cent tax, 100 per cent business ownership, capital repatriation, as well as discounts on business licence renewal. Dubai Hills Estate said the Executive Residences homes overlook the lush green Dubai Hills Park and the vibrant Dubai Hills Boulevard, and are in walking distance of the Dubai Hills Mall – all set within the 11 million square metre master-planned green oasis in the heart of the city. 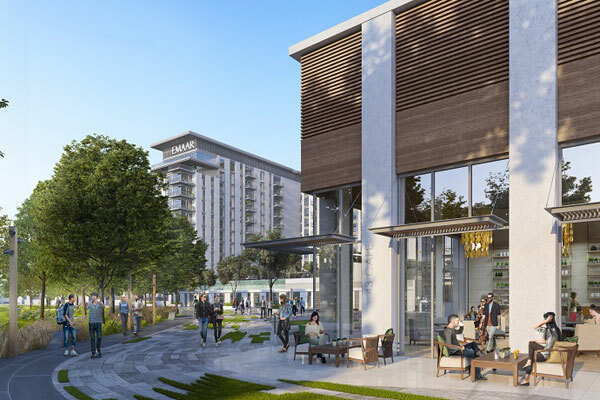 Part of a three-tower development seated on a landscaped podium, Executive Residences feature one-, two- and three-bedroom apartments where homeowners can start, run and grow their business. Residents can choose from homes with park side, boulevard or Burj Khalifa views, it stated. Dubai Hills Estate is effortlessly accessible from Sheikh Zayed Road and is located at the crossroads of Al Qudra and Sheikh Mohammed bin Zayed Road. It will also have connectivity to public modes of transport including a Dubai Metro link. A dedicated Dubai Hills Rail line will connect residents and visitors to the two international airports in the city. The tower has business-centric shared spaces such as meeting rooms, a common room and a café to facilitate the work from home lifestyle. Complementing the green views from the homes, Executive Residences focus on the wellness of residents with amenities such as a state-of-the-art modern gymnasium, Zen and yoga gardens, children’s play areas, and an infinity edge swimming pool to foster a stronger sense of community, said the developer.